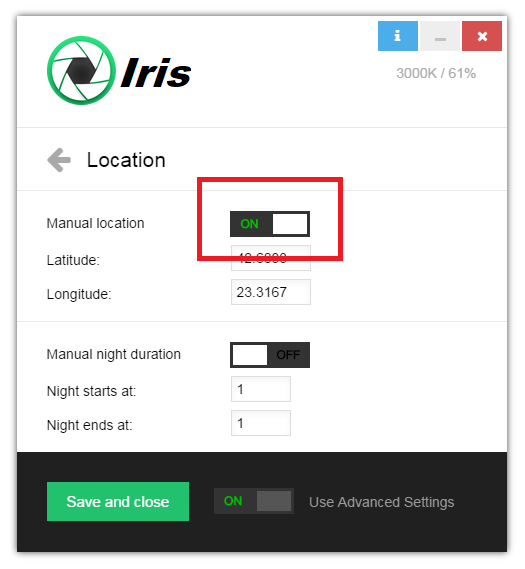 By default Iris will detect your location automatically, but if for some reason it detects it wrong you can set Manual location or night duration from here. Common reason for wrong detection is no internet connection, VPN or strange proxy configurations. 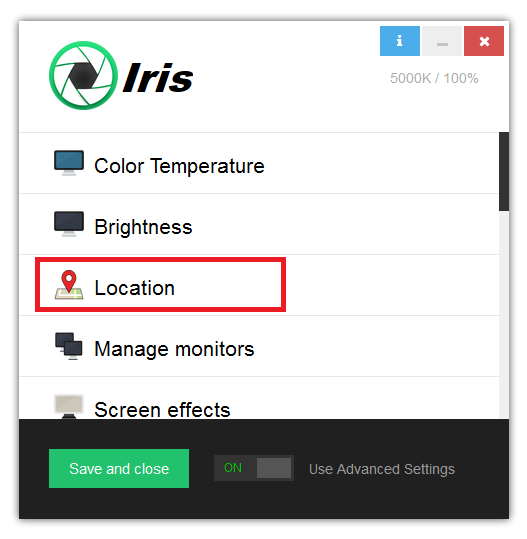 When you set this location Iris will use some complicated math to calculate the sun position and adjust gradually the Color Temperature and Brightness of the screen. 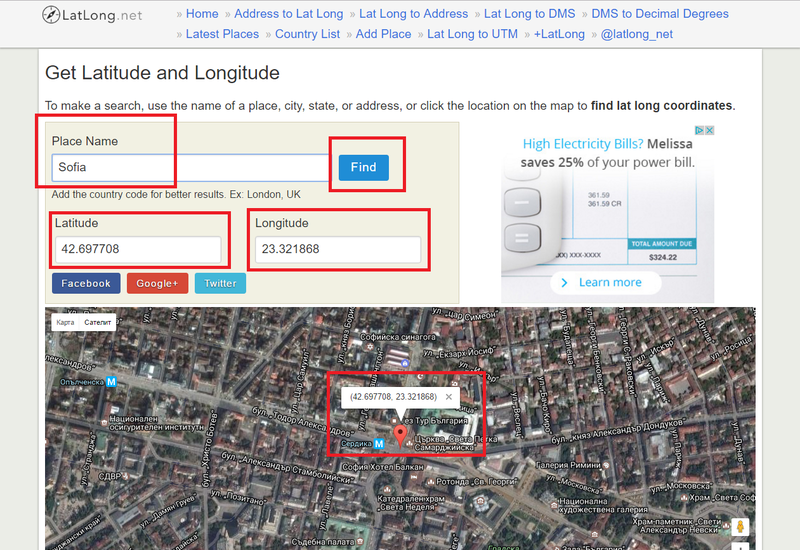 Latitude and Longitude are standard geographic coordinates. For your city you can find them from site like http://www.latlong.net/ or Google Maps. The values for Night start and end time are hour from 0 to 24. 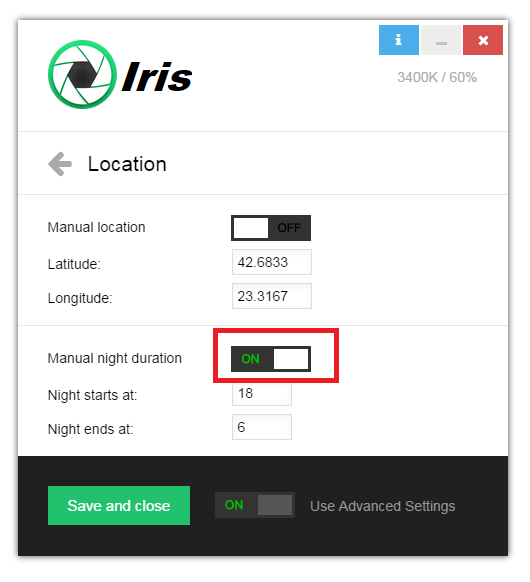 So you need to enter a number between 0 and 24 to tell Iris the preferred night duration. I also plan the add transition duration here and the UI may change a little in the future. 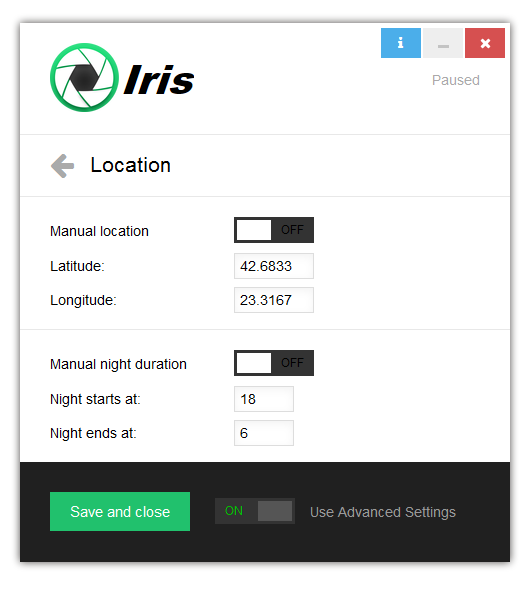 I downloaded Iris for a 7 day trial, but it doesn’t have any functionality. Can I learn to use Iris without having to join Facebook?